Birgit Pfau-Effinger is Professor for Sociology (Research Professor for Cultural and Institutional Change). She was Scientific Director at the Centre of Global Governance (cgg) of the Hamburg University from 2004 to 2017; she was also Professor for Comparative Welfare State Research at the University of Southern Denmark during 2011-2017. 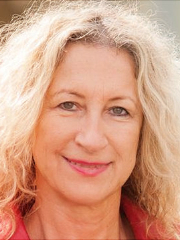 Her main research interests include the relationship between cultural change and welfare state change; explaining cross-national and historical differences in gender, care and the work-family relationship, historical development of cultural family models, and the changing relationship between formal and informal work. The German Research Council has included her in the database of outstanding women scientists 'AcademiaNet', since 2010. The British Sociological Association has 2012 appointed her journal article in Work,Employment & Society as "favourite WES article from the last 25 years": Pfau-Effinger, Birgit (1993). "Modernisation, Culture and Part-Time Employment: The Example of Finland and West Germany", Work, Employment and Society 7,3, p. 383-410. Her article Pfau-Effinger, Birgit (2005): "Culture and Welfare State Policies: Reflections on a Complex Interrelation" in the Journal of Social Policy,34,1,p. 1-18 among the top ten most cited articles ever published in the Journal (viewed April 2016). Pfau-Effinger, Birgit (2017) Informal Employment in the poor European periphery, International Journal of Sociology and Social Policy, 37, 7/8, 387-399. Yueh –Ching, Chou, Pfau-Effinger, Birgit; Kröger, Teppo & Ranci, Costanzo (2017): Impact of care responsibilities on women’s employment: a comparison between European and East Asian welfare states, European Societies, 19, 1, 157-177. Jensen , Per H., Och, Ralf; Pfau-Effinger, Birgit, Møberg, Rasmus Juul (2017) Explaining differences in women’s working time in European cities, European Societies, 19, 2: 138-156. .
Pfau-Effinger, Birgit; Euler, Torsten (2014) Wandel der Einstellungen zu Kinderbetreuung und Elternschaft in Europa – Persistenz kultureller Differenzen (Change in the attitudes towards childcare and parenthood – persistence of cultural differences), Soziale Welt, 20, 1 175-193. Pfau-Effinger, Birgit (2014) Nuevas políticas para cuidados en el hogar en los Estados de bienestar europeos, Cuadernos de Relaciones Laborales, 32, 1, 33-48. Frericks, Patricia; Jensen, Per H.; Pfau-Effinger, Birgit (2014) Social rights and employment rights related to family care: Family care regimes in Europe. Journal of Aging Studies, 29, 66–77. Pfau-Effinger, Birgit (2012) Women's employment in institutional and cultural context, International Journal of Sociology and Social Policy, 32, 9, 530-543. Pfau-Effinger, B., Rostgaard, T. (2011) ‘Welfare state change, the strengthening of economic principles and new tensions in relation to care’, Nordic Journal of Social Research, 2, 1-7. Pfau-Effinger, Birgit; Jensen, Per H., Och, Ralf (2011) ‘Tension between ‘consumerism’ in elderly care and social rights of family carers. A comparison between Germany and Denmark, Nordic Journal of Social Research , 2, 7-22. Pfau-Effinger, Birgit; Smidt, Maike (2011) Differences in Women’s Employment Patterns and Family Policies: Eastern and Western Germany, Community, Work & Family 14, 2: 217-232. Pfau-Effinger, Birgit (2009) Varieties of undeclared work in European societies, British Journal of Industrial Relations, 47,1: 79-99. Eichler, Melanie; Pfau-Effinger, Birgit (2009) The “consumer principle” in the care of elderly people - free choice and actual choice in the German welfare state, Social Policy and Administration, 43, 6: 617-633. (reprint in Greve, Bent (ed. ): Choice. London: Palgrave). Eichler, Melanie; Pfau-Effinger, Birgit (2008) Cultural and structural conditions of family care, Zeitschrift für Gerontologie und Geriatrie, 41: 60-60. Meyer, Traute; Pfau-Effinger, Birgit (2006): Gender Arrangements and Pension Systems in Britain and Germany: Tracing change over five decades", International Journal of Ageing and Later Life, 4: 67-110. Pfau-Effinger, Birgit (2007: Review on Welfare and Families in Europe, Peter Abrahamson, Thomas P. Boje and Bent Greve, Aldershot, Ashgate, 2005, International Journal of Social Welfare, 16,1: 95-96. Pfau-Effinger, Birgit (2005): Welfare State Policies and the development of care arrangements. European Societies 7, 2, 321-347. (reprint in Leira, Arnlaug; Lewis, Jane; Saraceno, Chiara (2012)(eds.) Families and Family Policies, Cheltenham/UK; Northampton/ MA, USA: Edward Elgar Edward Elgar). Pfau-Effinger, Birgit (2005): Culture and Welfare State Policies: Reflections on a Complex Interrelation. Journal of Social Policy 34, 1, pp. 1-18, among the top ten most cited articles in the journal, viewed 14.10.2016. Pfau-Effinger, Birgit (2005): Review article: ‘Working Parents and the Welfare State: Family Change and Policy Reform in Scandinavia’ by Arnlaug Leira. British Journal of Industrial Relations, 2, 335-337. Pfau-Effinger, B. (2004), Socio-historical paths of the male breadwinner model – an explanation of cross-national differences1. The British Journal of Sociology, 55: 377–399. Pfau-Effinger, Birgit (2000): Opyt kross-natsional’nogo analiza gendernogo uklada (Transformation von Gender-Arrangements – Theorie und Soziale Praxis). Sociologhicheskye Issledovanya (Sociological Research), 11. 24-36. Pfau-Effinger, Birgit (1999): Change of family policies in the socio-cultural context of European Societies. Comparative Social Research, 18, 135-160. Pfau-Effinger, Birgit (1998): Der soziologische Mythos von der Hausfrauenehe. Entwicklungspfade der Familie in Europa. Soziale Welt, 2,167-182. Pfau-Effinger, Birgit (1996): Analyse internationaler Differenzen in der Erwerbsbeteiligung von Frauen - theoretischer Rahmen und empirische Ergebnisse. Kölner Zeitschrift für Soziologie und Sozialpsychologie, 3, 462-492. Pfau-Effinger, Birgit (1992): Differences and Similarities: the Position of Women on the Dutch Labour Market from an European Perspective, Bevolking en Gezin, 1. Geissler, Birgit; Pfau-Effinger, Birgit (1989): Die Arbeitszeit als Ansatzpunkt zur Frauenförderung. Frauenforschung 2.